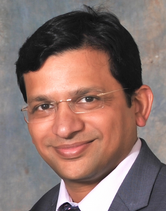 I am a Consultant in Trauma and Orthopaedic Surgery based at the University Hospital of Wales, Cardiff and Spire Cardiff Hospital. After medical graduation, I was accepted as a Fellow of the Royal College of Surgeons of Edinburgh in 1999 and then joined the Leeds Orthopaedic Program for a 6 year all round specialist training in Orthopaedics. During this period, I developed an interest in the management of hip and knee problems. In order to gain further experience, I did a clinical fellowship focused on hip and knee replacements, complex reconstructions and revisions, from the prestigious MGH (Massachusetts General Hospital) in Boston, USA and the Harvard Medical School. Over a period of 1 year, I had the opportunity to work with renowned experts in hip and knee surgery in the United States. The MGH is a high volume tertiary referral centre and is one of the best orthopaedic units in the US. It has produced numerous innovations and cutting edge research. This unique opportunity has had a significant impact on my surgical practice in the UK. As a consultant in the Cardiff and Vale University Health Board, I work at the University Hospital of Wales, and at Llandough Hospital. I participate in the 'trauma on call' at UHW. I am a honorary lecturer at Cardiff University. My clinical practice is based on fundamentals of thorough evaluation of patients, appropriate investigations, careful planning and skilled operations. The patient is always at the centre of decision making and is fully aware and involved at all stages of management. A close contact and direct access is encouraged. The high success rate in my surgery is achieved by meticulous attention to detail, anticipating and being prepared for all surgical scenarios. Despite high volume (more than 200 annually) of hip and knee replacement surgery in my practice, the infection rate is zero, and risk of complications is very low. Dealing with problems after hip or knee replacement surgery is often a complex issue and a substantial part of my practice is based around managing referred patients with problems following primary surgery. Dealing with problems gives insight into avoiding them in the first place. I have published over 25 research papers in peer reviewed journals, and have written review articles in journals and chapters for world class reference books. These include ‘The Adult Hip’ which is a top class reference book for hip surgery and in another book published by the American Academy of Orthopaedic Surgeons. 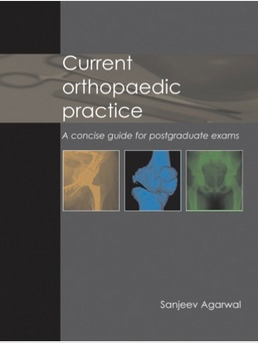 I have edited an Orthopaedic textbook (coverpage pictured) for specialists and higher surgical trainees in UK. The book was published in September 2012 and enjoyed multinational readership. I have also completed another book on Radiology of Skeletal Implants - due for publication in 2018. I regularly present my research in national and international meetings. I have been running two courses every year in Cardiff on Joint replacements, which are aimed at Orthopaedic trainees wishing to learn the principles and techniques of joint replacement surgery. I teach on several other courses locally and nationally. I mentor and supervise doctors in training. I am a Regional Surgical Advisor for the Royal College of Surgeons of Edinburgh. Professional memberships include the British Orthopaedic Association and the British Medical Association and other specialist organisations. Away from work, I am an avid tennis player. Other interests include cycling and outdoor activites. I am a member of Hindu Cultural Association of Wales and support World Wildlife Fund charity. The private consultations and private practice is based at the Spire Hospital, Cardiff. My specialist interest covers all aspects of Hip and Knee Surgery - hip replacement, revision hip surgery, knee replacement, knee revisions, partial knee replacements, knee arthroscopy and limb reconstruction surgery. If you have questions about hip or knee surgery, feel free to call / e mail me and I will be happy to respond.